Welcoming Heaton Manor, Benton Park and Cragside Primary Schools to the Civil Service Passport to Employment event. I am a participant on HMRC's Spring Talent Programme which includes delivering a project. I worked with CS Local and the Ouseburn School Trust in Newcastle to deliver a Civil Service Careers event linking local schools with Benton Park View, the largest Civil Service site in the country. 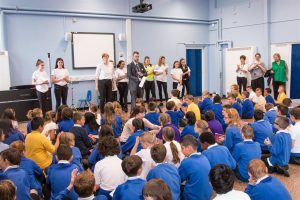 The project, called “Passport to Employment”, aimed to provide a fun and interactive event for Year 5 pupils aged 9 - 10 to increase awareness of the role of the civil service. Heaton Manor students presenting to Benton Park and Cragside Primary School pupils. To help deliver the project I worked with students from Heaton Manor School who formed a Business and Enterprise Group. They adopted various roles including a management team of Project Manager and Deputy Project Manager and sub teams of Resource Creation Team, Customer Satisfaction Team, Logistics Team and finally, Marketing and Communications Team. Colleagues from CS Local devised the passport to employment resource which helped explain how the Civil Service impacts on various different elements of our daily lives. 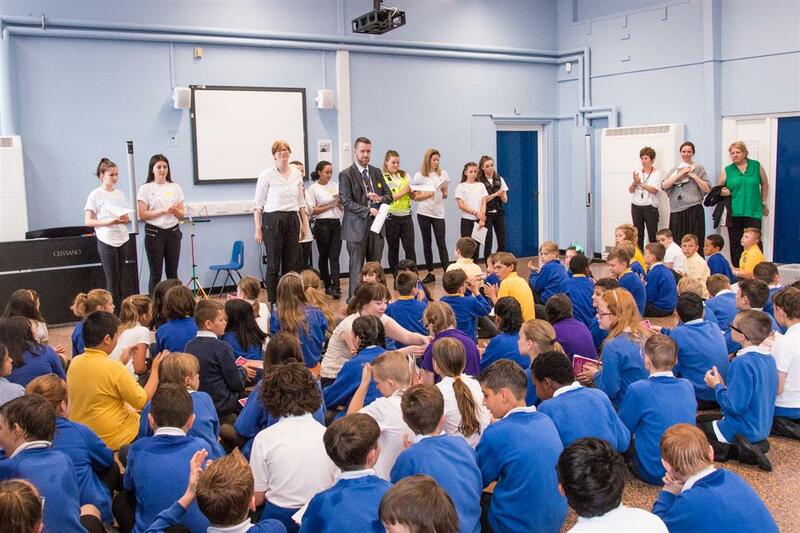 They also helped identify representatives from Civil Service departments to run the carousel of practical workshops. This included representation from HM Revenue and Customs (HMRC), HM Passport Office, HM Prison Service, Cabinet Office and HM Courts and Tribunals Service. Did you know that the Met Office is a Government Department? 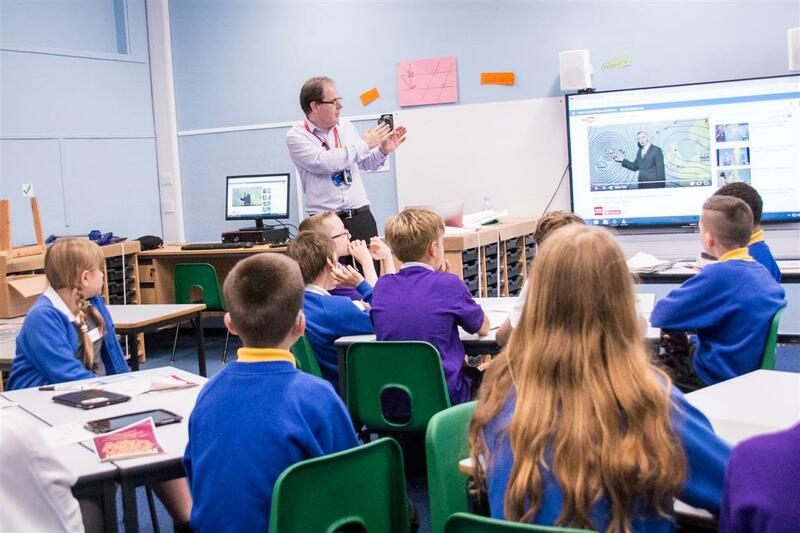 The sessions included a welcome from the weather team at Tyne Tees Television, a chance to design your own passport, take part in a Law Court scenario involving dressing up as a judge and sentencing the accused. The students also learnt who had left the most money in their will! 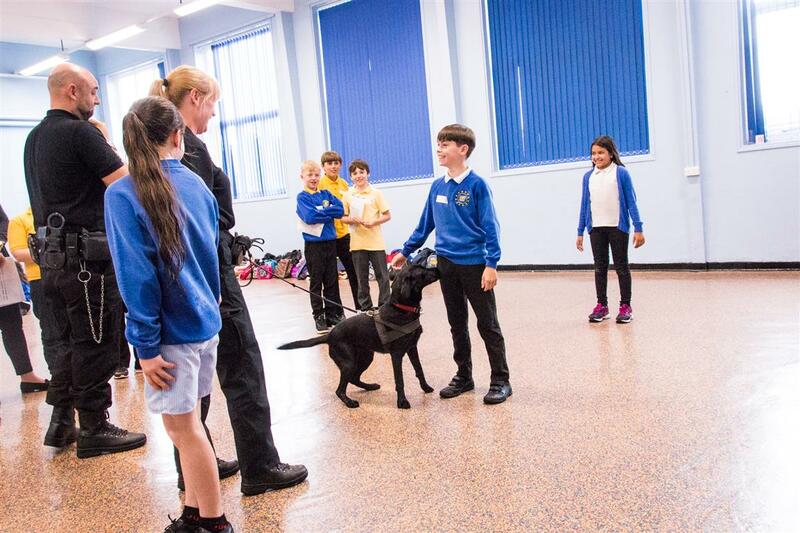 A huge hit with all was the HMRC Junior Tax Facts video and the search dogs who demonstrated their work. 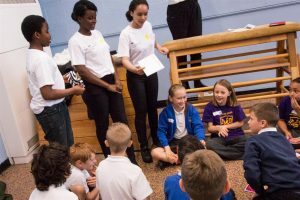 Over 120 Year 5 pupils from the host school Benton Park Primary as well as pupil guests from Cragside Primary School participated on the day. 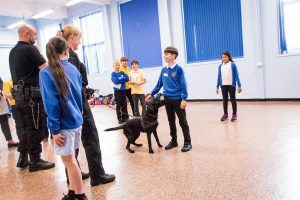 Shadow the Search Dog with students. This was a fantastic opportunity where we were able to raise the profile of the Civil Service as a great place to work and network with other Government Departments. The students from Heaton Manor obtained an extra-curricular Enterprise qualification with the support of the Newcastle United Foundation through participation in this programme. If you are interested in leading a similar project with local schools in your area please contact Kelly Roush.